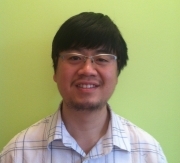 Our Yesware team continues to grow and we’re happy to welcome engineer Jiapeng Ji to our fold. A lover of complex data models who also has a deep appreciation of America’s intricate interstate system, J.J., hopes to one day drive through the country, exploring the many twists and turns of our nation’s roads. In the meanwhile, we’re glad that his journey takes him here. Meet J.J. I came to the United States from China when I was 12-years-old and settled in Los Angeles, California for the next fifteen years. After college and grad school at the University of California at Irvine, I worked with a closed source database integration platform at Metadata, LLC., in Long Beach, CA. Right before Yesware, I worked for RBM Technologies in Cambridge, MA., on a web-application that manages merchandising localization for corporate retailers. How did you grow into a Developer’s role? While picking out classes for my freshman year in high school, my counselor advised me to take an introductory computer programming class. I decided to go for it because I wanted to understand how computers can be instructed by human to perform tasks. By coincidence, the first programming language I learned was called qBasic. That first class left me wanting more and after three more years of computer programming classes, I decided to study computer engineering at The University of California at Irvine. Following my undergraduate work, I wanted to further pursue the world of computer science and stayed at UC-Irvine for graduate school, focusing on system software and computer visualization. After my degrees, I was lucky enough to work with companies like Metadata, RBM—and now Yesware—to translate what I learned in the classroom into real-life applications used by people throughout the world. I am looking forward to making the code base more modular, design generic back-end interfaces that the front-end can utilize, and understand how email tracking works with the IMAP library. But it’s not just about sitting heads-down in code! I’m also looking forward to meeting new people, enjoying downtown Boston and immersing myself in this exciting startup environment.